Trail Dynamics offers a vast array of trail related services and can provide for all of your recreational trail needs. Our extensive experience as trail professionals, our adaptable full time crew, and our passion for trails mean we can tailor our services to exactly fit your needs, no matter how big or how small. Need help designing a trail to feature yet protect a sensitive ecological area? We can do that. Want to combine the old extraction routes and beautiful but inaccessible vistas that already exist in your planned development into the perfect sales tool? We've done it for many others, we can do it for you too. Have a motivated but difficult-to-harness volunteer force? We can do the heavy work while providing guidance and encouragement to turn your volunteers into a finish work army and a valued partner in the future. Have the personnel and tools but not the knowledge? Our experienced trainers can help with a custom tailored curriculum. Trail planning and design phase includes feasibility studies, trail master plans, and trail location design. Trail Dynamics is happy to discuss your trail project with you, and we may be able to arrange a site visit at no charge to briefly view the project and offer an estimate. However some more complicated and/or less accessible projects may require a feasibility study involving a longer duration site visit and resulting in a written evaluation, recommendations, and quote. We strongly urge that trail construction and maintenance not proceed until an overall trail plan is in place – we've seen far too many trail projects that provided temporary band aid fixes rather than permanent solutions to the problems. We have developed numerous trail master plans for systems both proposed and existing, from large and complicated trail systems to small pocket forest loops. We would be delighted to work with you to develop a plan that truly addresses your trail needs. Trail design is offered as either a stand alone service or part of a design/build contract, and includes on-the-ground flagging,GPS mapping, and suggestions as to needed structures. We take the utmost care to ensure that our design is sustainable and low impact, meets your needs and the needs of anticipated users, and is aesthetically pleasing. Trail Dynamics builds trails with hand tools as well as with machines; usually we use a combination of the two techniques. Trails can be natural surface / native soils, surfaced with crushed stone, limerock or a similar hardening substance, or built of wood and elevated. Trails are frequently built for specific user groups like casual walkers, hikers, cross country running competitors, mountain bikers, equestrians, off road vehicles, or for a combination of users. Our experience as trail users helps us create trails that provide maximum user enjoyment and sustainability while managing risk and minimizing impact on the environment. We tailor trail construction to the expected use: a family walking with young children are seeking a very different experience from a downhill mountain biker, and both have very different needs from the salesman touring properties with prospective customers in a utility vehicle. All trails need some maintenance. Neglected trails or trails that were not properly built to incorporate drainage or minimize user impact can often be repaired and made sustainable through a variety of techniques including improving water management, trail armoring, road to trail conversions, and trail reclamation. Trail Dynamics can help evaluate your trail problems to determine which trail segments are salvageable and which would benefit more from constructing a new reroute and reclaiming the old trail. In situations where rerouting is absolutely not an option, we can almost always find a solution through a combination of water management and/or armoring. We have developed a well deserved reputation for problem solving and breathing new life into many old trail alignments. Frequently problem areas such as water crossings, turns, steep elevation changes and steep side slopes require creative solutions like bridges, steps, retaining walls, culverts, or railings to traverse the area safely and sustainably. And sometimes the right trail-side amenity like a bench, technical trail feature, platform, or overlook can add just the right finishing touch to a trail. 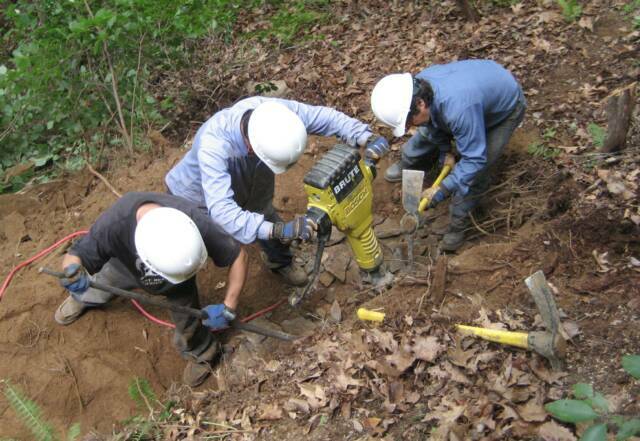 Trail Dynamics staff are experienced carpenters and designers as well as North Carolina certified clear water contractors. We have the machinery needed to move bulky materials to remote areas on narrow trails; the equipment to shape those materials on-site in remote locations without electricity; and the knowledge to construct sturdy, safe, long lasting and aesthetically pleasing structures. We especially enjoy creating attractive features using native locust or other native, rot resistant wood that blends in with the natural environment. Not all trail structures are made of wood: rock is more permanent, can be more attractive, and often is readily available on-site. Rock can also be imported, and recycled concrete can be used as a “poor man's rock” in areas where availability and cost might otherwise prohibit rock use. Steps, retaining walls, benches, and technical trail features can all be made of rock. Armoring water crossings or otherwise unsustainable trail sections with rock or recycled concrete is an excellent and virtually permanent solution. We love working with rock and have developed many innovative processes that have now become accepted as best state practice. Recent increases in the popularity of mountain biking as well as improvements to bicycle design have created a demand for higher skill, more difficult riding opportunities. Skills parks are a great way to provide the thrill these bikers are seeking while managing risk and limiting impact to a small area. Skills parks can contain trails and technical trail features built of dimensional lumber, native wood, rock, recycled concrete, or natural surface, but most of all they need to contain fun. A good skills park provides skills progression from beginner to expert, at least some high skill, low penalty obstacles (meaning that features are challenging to ride, but the penalty for failure is low), and features that mimic obstacles found on nearby trails. Features may include pump tracks and jumps, log rides and elevated trail, log overs and drop offs, rock crawls and tight chicanes, and whatever other challenges can be imagined. Skills parks are inherently kid friendly. Our staff includes expertise in the design, development and management of bike park components. 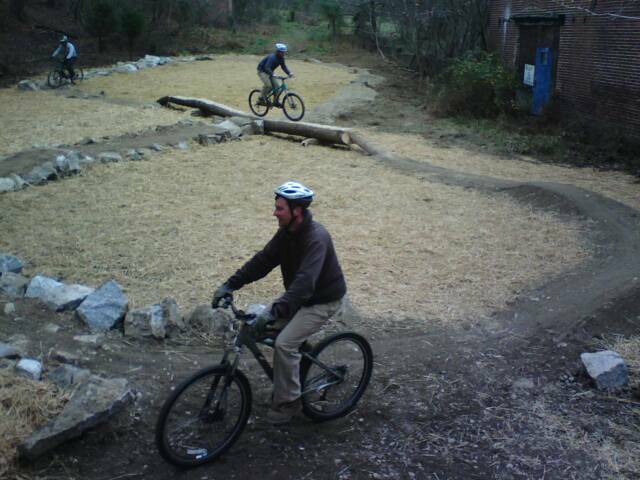 Our work has ranged from small pocket parks such as the Kids Trail and Skills area in DuPont State Forest, to much larger scale bike parks. Two of IMBA's Ride Centers were heavily influenced by Trail Dynamics staff: Tamarack- a new and developing 4 seasons resort nestled in the mountains of ID and Santos/Vortex in FL- one of the largest free ride areas on public land. The Trail Dynamics crew would love to help you install the ultimate bike skills area as the icing on the cake of your bike trail system. 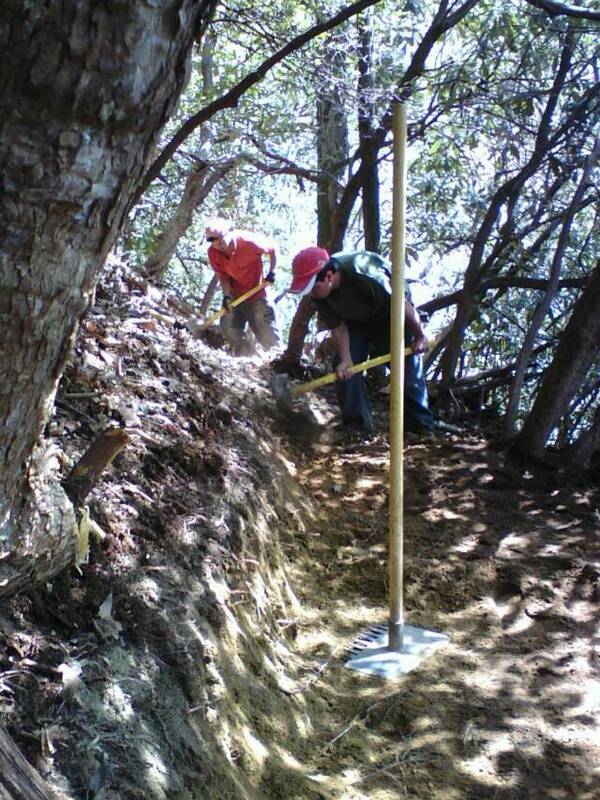 From land managers to volunteers to trail contractors to do-it-yourselfers, many of us have the passion for trail building but lack knowledge and skills. Whether it be training on a specific machine, combination training/trail construction workshops or seminars like our ever popular Art and Science of Trail Design, Trail Dynamics' team of experienced trail builders and educators can help. We work with you to develop a curriculum that specifically addresses your needs. We use tools such as PowerPoint presentations, literature like IMBA's trail construction and management publications (to which Trail Dynamics staff contributed) and field work to reinforce the learning. Frequently these programs can be funded with grants like the Recreational Trails Program education funding, and usually field work results in progress on much needed trail projects – a double bang for your buck! Trail users and volunteers value their trails immensely. This can be both a positive and a negative thing for those tasked with managing those trails, as volunteer management is a time consuming and sometimes difficult task. How do you get folks to do what's needed when you're not paying them? Trail Dynamics can help ensure volunteers fulfill their immense positive potential as trail workers and trail stewards. An effectively led and motivated army of volunteers can bang out a whole bunch of trail in a short amount of time! We educate about sustainable trail design, acceptable risk management strategies, and responsible trail use. We work to resolve conflicts and reach compromises acceptable to both trail users and trail managers. And most of all we encourage input from volunteers, let them know they are needed and appreciated, and foster a sense of ownership and community among trail users. We have immense respect for volunteers in part because we've been there, and continue to be heavily involved as volunteers on our local trail systems. Trail Dynamics staff have organized, led, and participated in volunteer trail work days in Dupont State Forest, Pisgah National Forest, the Cross Florida Greenway, and at least a dozen other properties. Our respect for volunteer talent translates into a productive relationship with trail volunteers and will allow us to productively manage your volunteer force for the betterment of your trail system. Risk management is an important tool for land managers as trail related lawsuits have been on the rise in recent years. Risk management is best done up front in the form of a risk assessment and including such information into a trail management plan. TD staff has extensive experience in developing such trail palns for a range of federal, state and local level government agencies. Our staff has also provided expert services to attorneys, and served as expert witness in several trail related lawsuits.